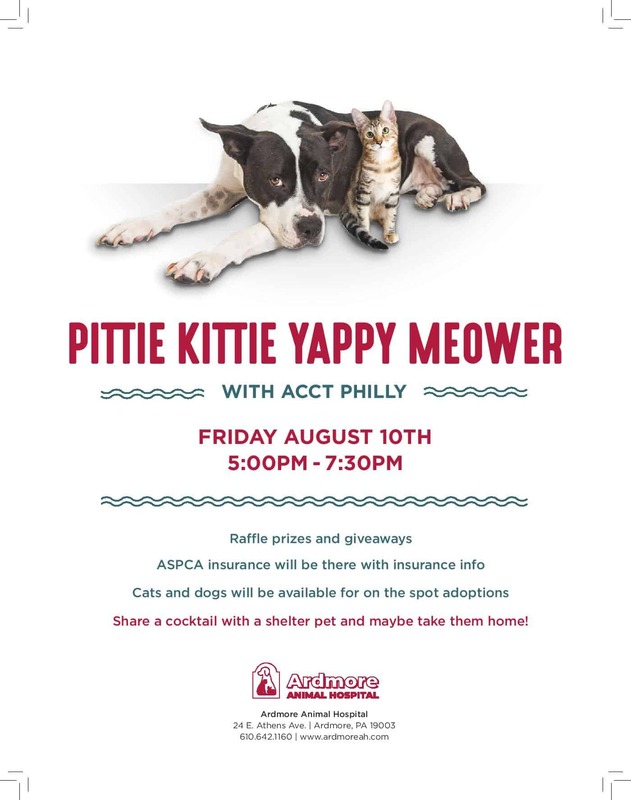 Join ACCT Philly and the Ardmore Animal Hospital for a Pittie Kitty Yappy Meower! Come for raffle prizes, giveaways, cocktails and snacks. Did we mention there will be adoptable cats and dogs there, too? Join us for a fun summer evening of wags and whiskers, benefiting ACCT Philly!